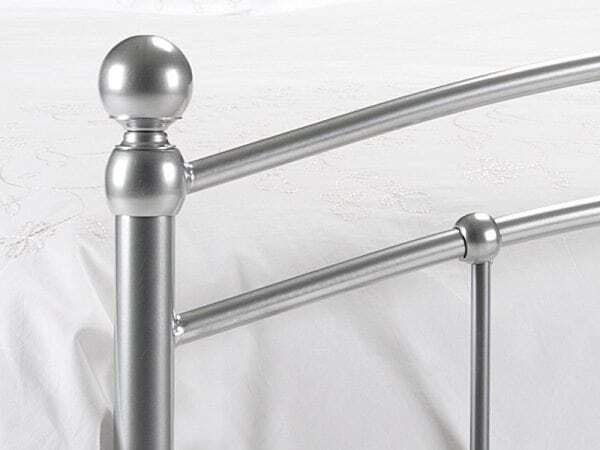 The Canterbury Range: in Silver Finish A versatile metal bed that can fit both modern and traditional surroundings. In a bright Aluminium finish, the Chatsworth bed also features a sprung base for added comfort and mattress life. Sizes Available: 90cm (3’0″) Single : £79 135cm (4’6″) Double £125 150cm (5’0″) King : £149 Please call to check stock and availability Free local delivery and set up in the room of your choice.